I’m sure that at some point in life we’ve all dealt with these kinds of personalities, On one hand this person seems nice, friendly and a great person to hang with. Then the very next minute they turn into Dr. Evil. It sort of reminds me of the famous Dr. Jekyll and Mr. Hyde back from the 1931 horror movie era. Except he drank a potion that changed his personality from one extreme to the other. And these folks? Well, they just turn according to what day it is – or perhaps a full moon, who knows for sure. In case you’ve not had the pleasure of dealing with such a superb being I’ll give you a little hint of what it’s like to encounter someone such as this. 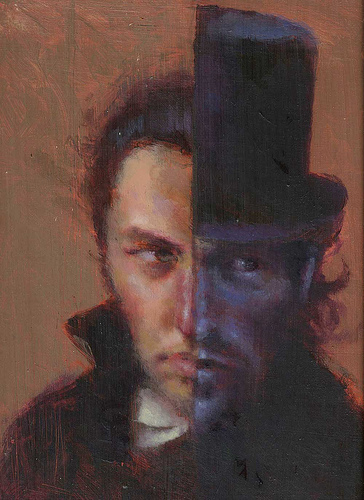 After several roller coaster episodes of experiencing this type of personality switch you realize that something has triggered that other personality trait (Mr. Hyde) who peeks his ugly head out now and again. And though he makes you very uneasy and stressed out, you somehow come to terms that this is the way it’s going to be – from now on. Not that it makes it any easier. We all handle life differently. There are those who when things are up, they’re up. And when things are down, they’re down. That’s just a plain old fact. Unfortunately, we have to deal with their ups and downs. And yes, it’s rotten. It stinks to high heaven. And it’s something we wish we could change. Maybe their just hot-headed. Maybe they’re chemically unbalanced. They could be dealing with complications to dementia or some kind of disease. Or possibly they are simply immature and continue acting like a two-year-old. But nevertheless, we have to learn to live with them. Realizing we can’t change them, we can’t make them happy, I believe is part of how we maintain our own sanity. I’ve tried walking on egg shells. I’ve tried fixing everything. Nothing seems to work. They can choose to see the world as a crappy place in which to live, or give in to their own demise, but I refuse to let them bring me where they are. I too, was one of these tortured souls years ago. I know what it feels like to stay in a depressed, anxious state. To see others as always out to get me. But the difference is that I became tired of that life. It slap wore me out. I didn’t want to live there anymore. I wanted to be happy. I came to believe there really was good in others and in this world, in general. Sometimes you can help these people get help whether it’s through taking them to the doctor to get help with a chemical imbalance or on some kind of medication for anxiety or depression. And with teenagers, they mostly grow out of it. But with Adults it’s hard to say. Sometimes, they choose differently or agree to get help, sometimes they don’t. There are times when a parent has been an awesome parent for most of their life and now they’ve turned into this constant complainer. Someone who always sees the worst in everything, everyone, and even you – YOU. The one who who cares for them. It could be a side effect of medication and may need to be addressed. But what if it’s not? What if it’s always going to be like this? Choosing to love them in spite of their mood swings. To put up with their crap – makes you the bigger person for doing it. And believe me, it pays off in the end. I do know that life’s way too short to live their constant roller coaster ride of emotional chaos. To allow them, to bring you to that miserable place where they live. This entry was posted in abusive relationships, eldercare and tagged abusive relationships, bi-polar, caregiving, caregiving and stress, caring for a parent, caring for someone who is angry, chemical imbalance, eldercare, living with a psychotic, living with Dr. Jekyll and Mr. Hyde, Living with Dr. Jekyll and Mr. Hyde, living with someone with mood swings, maintaining your sanity, medication management, mental disorders, mood swings, susan avello, taking care of yourself, triggers in medication. Bookmark the permalink.